A big THANK YOU to all of you for your overwhelming response for our first edition of eBook Oracle Exadata Interview Questions & Answers,We were delighted to sold off 5730+ copies till date. We have never thought to reach this mark when we have released this eBook. We have received lot of positive feedback on this book how it helps to crack the interview. 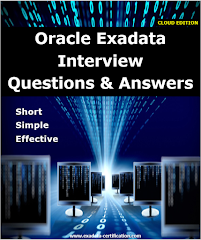 As a part of update now we are introducing ORACLE EXADATA CLOUD SERVICE interview questions and answers in our second edition of eBook. Total questions now more than 500+ with detailed answers. It was very worthwhile book for us to launch as many people put their effort to make it possible. We are sure that happiness will be brought to all the readers as a result of our efforts. If you haven't yet read this book, we thank you for exploring our website. 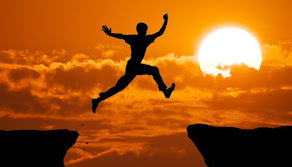 "Stay miles ahead of the competition"
We appreciate the wealth of comments/appreciations we received telling us of your expert review of book and interview experience. Your feedback means the world to us. With profound gratitude, and with hope for your continued reading pleasure. 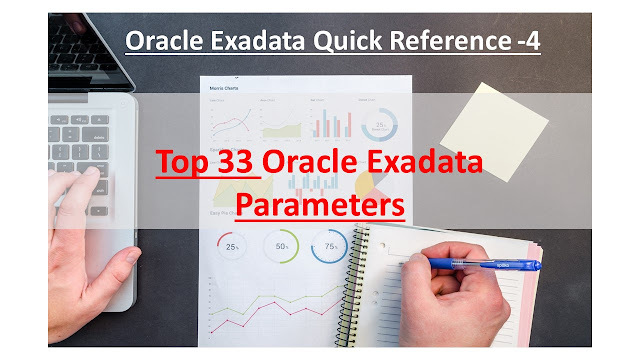 Here listed down Top 33 Oracle Exadata Parameters, Exadata performance more over dependent on these parameters. 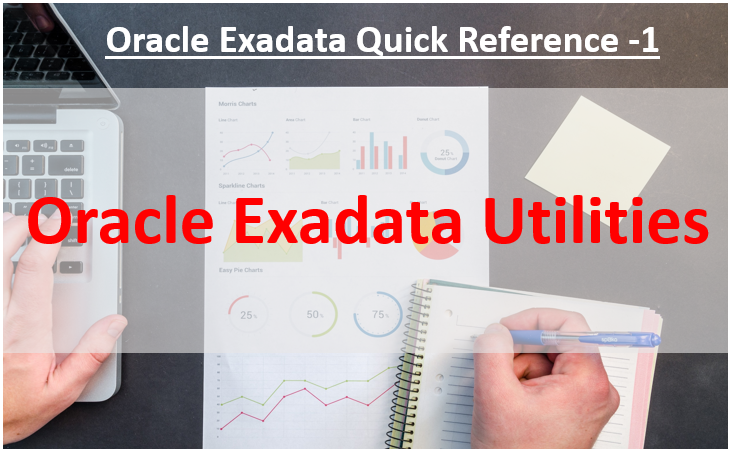 It includes traditional database parameters also but those parameters also applied for Exadata environment and playing important role in terms of configuration and performance. Cell storage patching can be done by patchmgr utility which is used to do a patching in rolling as well in non-rolling fashion. 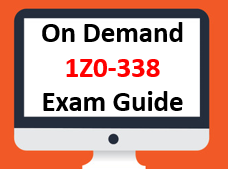 Here addr is the sending mail id which is used to send status of patching and addr1,addr2,addr3 are receiving mail id to receive the status of patching. Patchmgr utility used to patch Infiniband switches. What Should Be The Order of Exadata Machine Patching? Agenda for this sequence is to review the exadata quickly in shorter time which also can help for interview preparation. 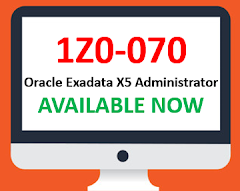 Also it can help for exadata administrator to get the data quickly. Following are the Oracle Exadata Utilities which are available as of now. Command-line administration tool for configuring database servers, and managing objects in the server environment. Command-line administration tool for Oracle Exadata Storage Server Software. It runs on compute nodes and enables you to manage cells remotely. 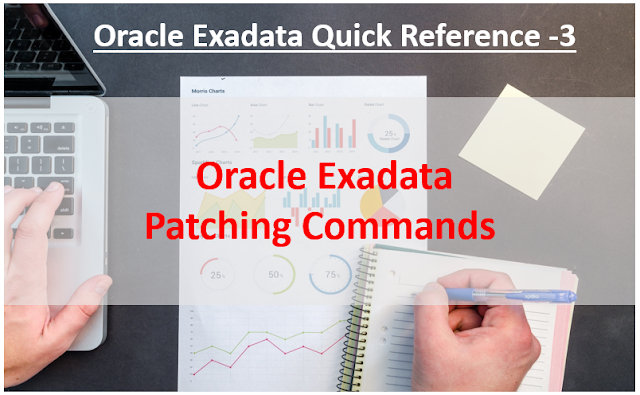 The exadcli utility runs commands on multiple cells in parallel threads. You can issue an ExaCLI command to be run on multiple cells. The Exadata Deployment Assistant tool used to gather the information needed to deploy the Exadata Database Machine. The information entered in the tool is used to create the configuration files used to deploy the machine. Run the Network Check script on the network where the machine will be deployed to validate the specified names and IP addresses have been added correctly to the name server, and they do not conflict with the existing network configuration. Exachk utility used to conduct a comprehensive Exadata Health Check on Exadata Database Machine to validate hardware, firmware and configuration.